The American Seamen’s Friend Society (ASFS) of New York, organized in May 1828 (though not officially incorporated 1833;) in 1832 sent the Rev. John Diell to Hawai’i as its first chaplain to the port of Honolulu. Situated on what was then the waterfront, it was started by the American Seamen’s Friend Society to minister to English-speaking sailors from whaling and trading ships. 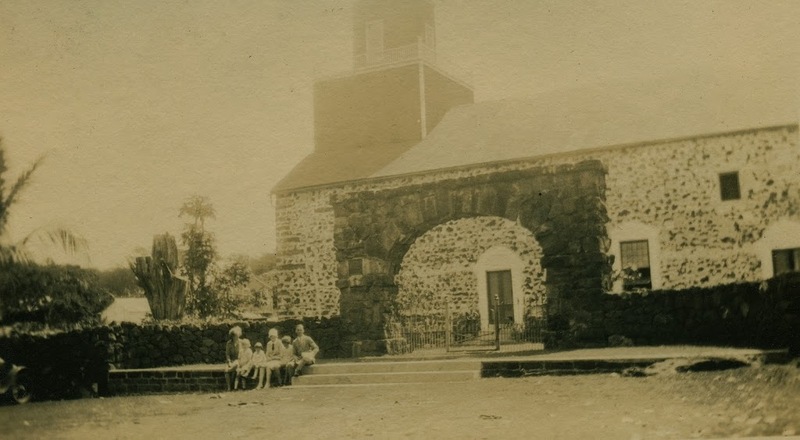 The worship services attracted a number of English-speaking townspeople who in 1837 organized themselves as Oʻahu Bethel Church – the earliest regular church services in English in the Hawaiian Kingdom. Poor health forced Diell to leave Hawai’i, and he died at sea in 1841. Rev. Samuel C. Damon was selected as his replacement. Damon had been preparing to go to India as a missionary and was studying the Tamil language for that purpose, when an urgent call came for a seaman’s chaplain at the port of Honolulu in the Hawaiian Islands. 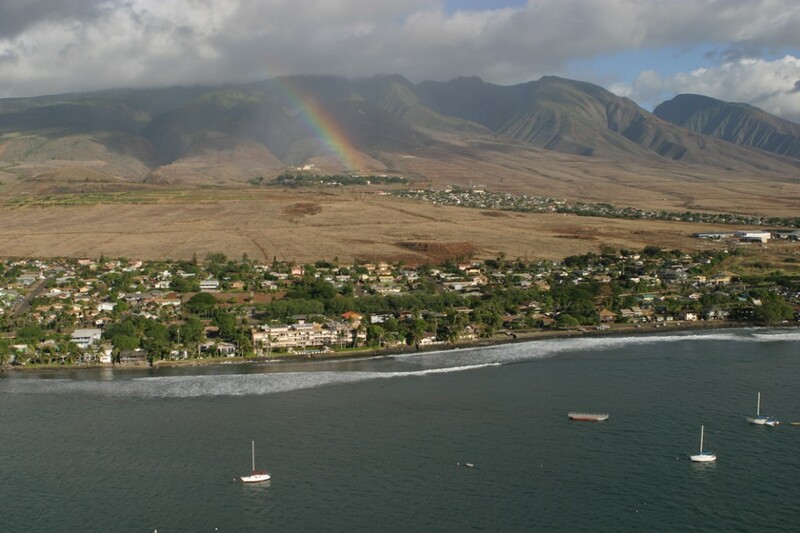 He was ordained to the Congregational ministry on September 15, 1841 and he decided to accept the position at Honolulu; he arrived in late-1842. Throughout the 1840s there averaged over 400 ships in port each whaling season, with a record high of over 600 in 1846. Damon’s report from Honolulu in 1851 recorded the visits of 558 whale ships and barks, 27 brigs and 35 schooners, bringing approximately 15,000 men into the port during the year. Reverend Damon also founded the English-language paper “The Friend” in 1843 and ran the paper from the Seamen’s Bethel Church until his death in 1885. Between 1840 and 1870, an annual 6,000 seamen visited Honolulu, many worshiping at first Reverend Diell’s and then Reverend Damon’s church. As Oʻahu Bethel’s numbers grew, and ship calls increased, need for a separate church became evident. 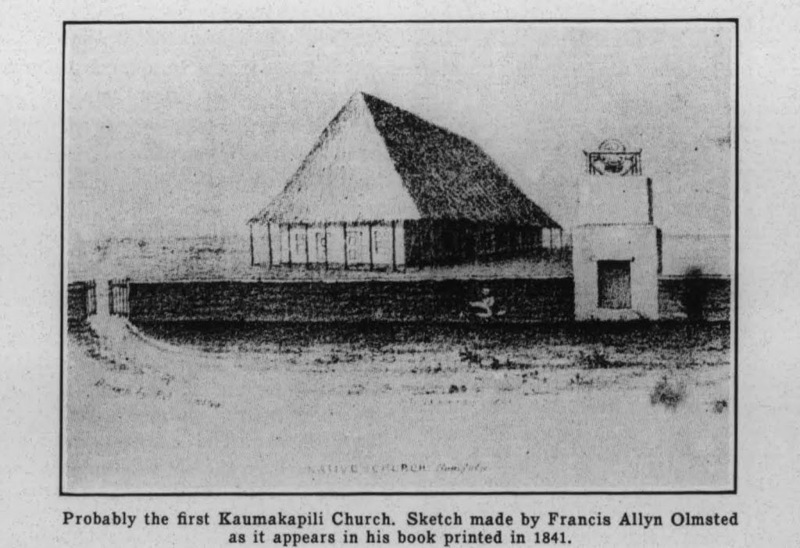 In 1852 some Oʻahu Bethel members left to form what was to become Fort Street Church. Oʻahu Bethel continued to conduct services, later renaming itself Bethel Union Church. In 1887 a formal merger of Bethel Union and Fort Street Church created Central Union Church, with 337 members. In 1892 Central Union Church moved into a new “blue-stone” (volcanic basalt) building across from Washington Place, Queen Liliuokalani’s residence. Within 15 years, however, rapid growth plus noise and ventilation problems created pressures to move. In 1920, Central Union’s then-pastor, Dr. Albert Palmer, chose a desirable 8.3-acre site at Punahou and Beretania streets. The site was “Woodlawn,” for years the residence and dairy farm of prominent businessman BF Dillingham and his family. Mrs. Emma Louise Dillingham, by then a widow, agreed to sell – she had been a member since Bethel Union days. In 1922, the cornerstone was laid, and the present sanctuary, designed in traditional New England style, was completed in 1924. 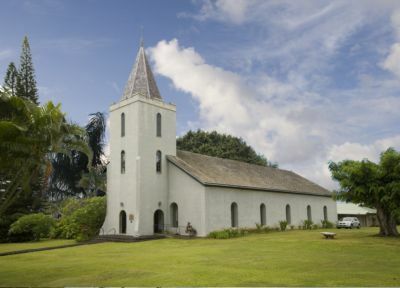 In 1924, Central Union Church, also known as the “Church in a Garden”, moved to its present location on Beretania Street. 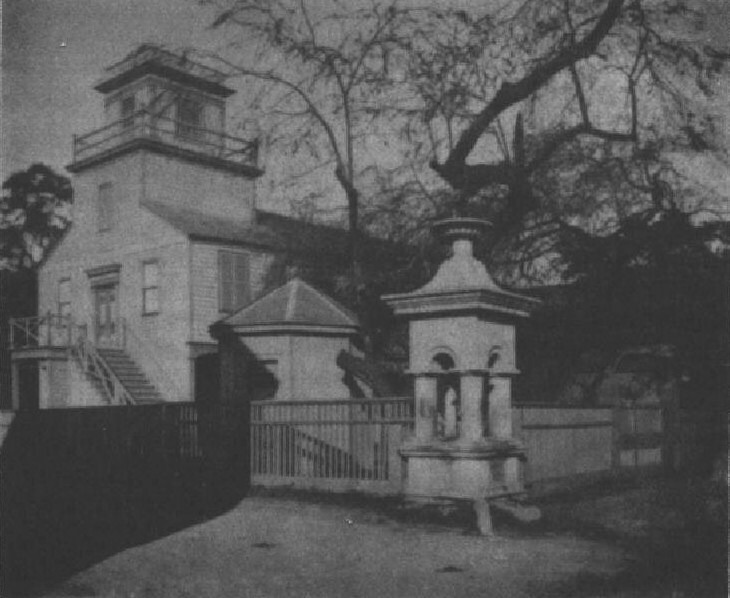 The image shows the initial Seamen’s Bethel Chapel (Oʻahu Bethel Church) that was located on Bethel Street.